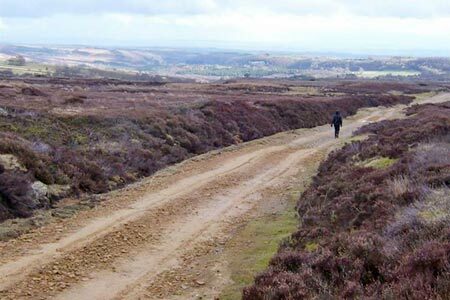 This North York Moors circular walk's main focus is to enjoy the views from Rudland Rigg. This is a quiet part of this National Park and you can almost be guaranteed solitude. A GPX File is available for download (see walk description). This guidebook describes 50 circular day walking routes in the North York Moors. The moors offer no great height but cover seven regions; the Tabular Hills, Hambleton Hills, Cleveland Hills, Northern Moors, High Moors, Eastern Moors and Cleveland Coast. There is also a four-day route following the classic Lyke Wake Walk.